Weill Cornell Medical College in New York will provide a microbiologist to work at Tres Cantos Open Lab, a facility of GlaxoSmithKline in Spain, to identify the ability of chemical compounds to penetrate the Mycobacterium tuberculosis bacteria. Financial aspects of the two-year project, funded by the Tres Cantos Open Lab Foundation, were not disclosed. 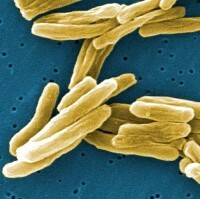 The Mycobacterium tuberculosis causes tuberculosis (TB) infections, which most commonly affect the lungs. The bacteria are transmitted from person to person through droplets from the throat and lungs of people with the active respiratory disease. Symptoms of active TB of the lung are coughing, sometimes with sputum or blood, chest pains, weakness, weight loss, fever, and night sweats. The Open Lab project aims to chemical principles that could transform potential chemical inhibitors of tuberculosis bacteria into active drugs, which has become a bottleneck in current anti-infection drug research. Weill Cornell is providing Saki Raheem, one of its a post-doctoral researchers, to study the accumulation of potential drug compounds inside tuberculosis bacteria cells, indicating the associations between cell permeability and anti-TB activity. Tres Cantos Open Lab is located at GlaxoSmithKline’s (GSK’s) Tres Cantos Medicines Development Campus in Spain. Raheem is expected to work with GSK researchers to apply metabolomics technology developed by Weill Cornell that indicates the chemical signatures of various cellular processes. He will apply the technology to screen and analyze hundreds of potential anti-tuberculosis compounds from GSK’s compound library, aiming for a better description of the physical chemistry needed to penetrate tuberculosis bacteria. This new research is based on work by Weill Cornell professor and infectious disease specialist Kyu Rhee, who also serves as principal investigator of this project. In November, Rhee and colleagues published research demonstrating the use of current mass spectrometry technologies to visually track the action of antibiotics on living, intact bacterial cells. The technology made it possible to witness biochemical actions of various TB drugs inside tuberculosis bacteria.